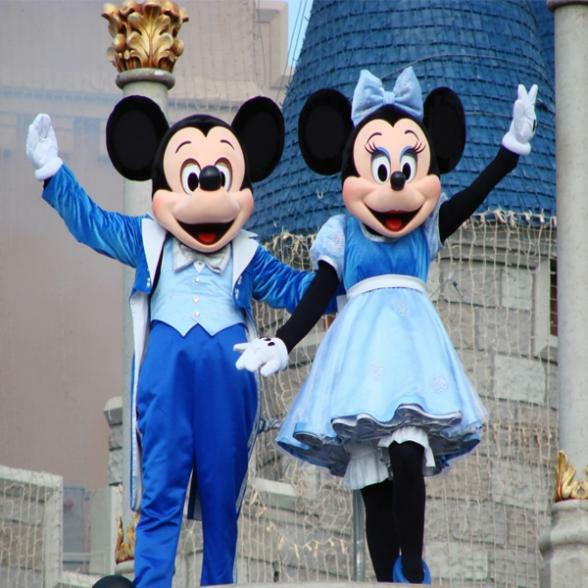 No holiday to Orlando would be complete without Walt Disney World's collection of theme parks. There's an incredible amount of ground to cover to ensure you see it all, so having a plan well ahead of arriving is paramount. Luckily, Bon Voyage can help! There’s nothing quite like walking down Main Street USA and getting your first glimpse at Cinderella’s castle no matter how old you are! The fairy tale continues as you make your way through the various rides and exhibits of Fantasyland – including the legendary ‘It’s a Small World’ boat ride. In Frontierland, plunge down Splash Mountain or take a ride on Big Thunder Mountain Railroad. Enjoy the timeless excitement of Pirates of the Caribbean or join in with the wise-cracking Mike Wazowski on the Monsters, Inc Laugh Floor. Tomorrowland’s Space Mountain, the roller coaster ride in the dark, is a Disney staple and don't forget to grab a seat for the daily parade and evening fireworks. Be in the middle of the action at a remote trading port - Batuu, on the edge of space where Star Wars characters come to life. The lands will feature two major attractions with guests at the heart of a battle between the First Order and the Resistance. The first, will make you feel like you’re on a Star Destroyer inside a hangar bay. 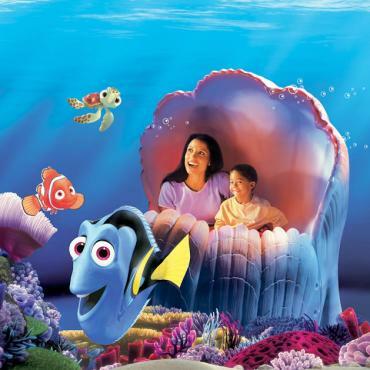 You'll be gob smacked by the gigantic scale that not even Disney has attempted before. The second attraction will give visitors the chance to fly the Millennium Falcon, piloting the ship, shooting blasters and preparing for hyperspace. You’ll also recognise many familiar faces including BB-8, Chewbacca, members of the First Order and more. 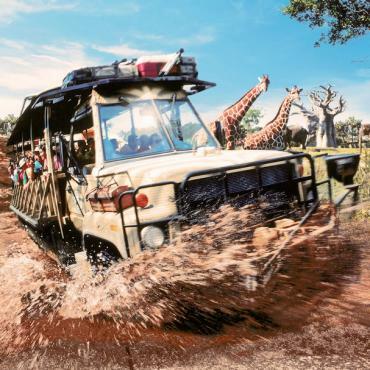 Be transported into six lands where you'll encounter wild animal adventure and awesome prehistoric creatures. Enjoy entertaining extravaganzas like Festival of the Lion King. 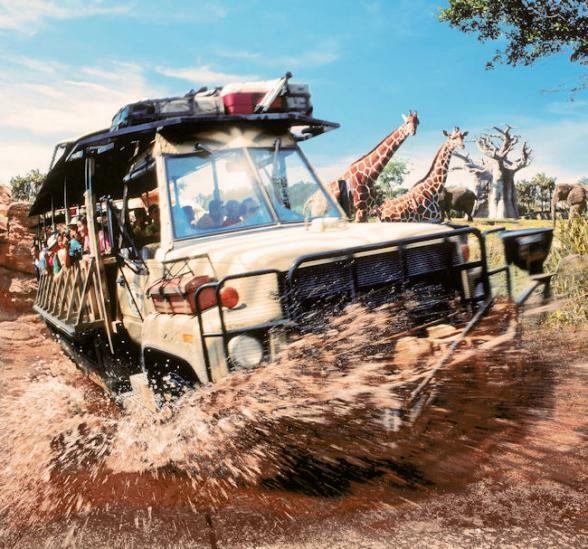 Experience the African savanna on a Kilimanjaro Safari or search for the mythical Yeti on Expedition Everest, a high-speed train ride. Pandora - The World of Avatar offers the 3D Flight of Passage from the back of a mountain banshee. Disney Springs is an outdoor entertainment complex inspired by Florida's charming waterfront towns, and historic architecture. The promenade features four neighbourhoods―The Landing, Marketplace, West Side and Town Center built around bubbling springs. Full of restaurants and shops, plus luxury bowling alley and dine-in cinema, it’s a great addition to theme park fun. Epcot remains as innovative and fascinating today as it was when it first opened in 1982. 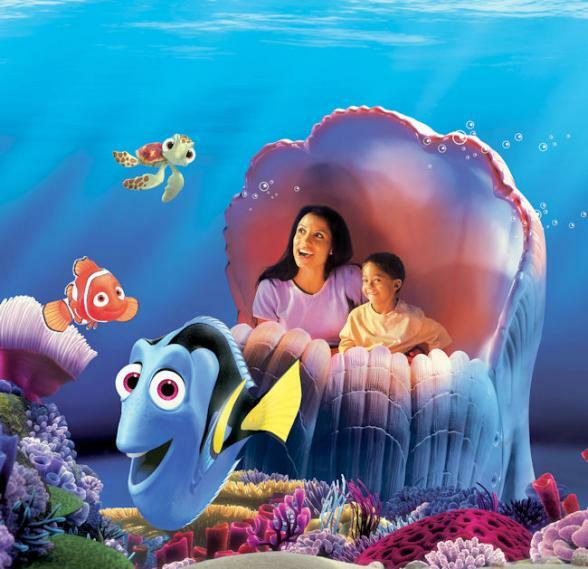 With Spaceship Earth as its iconic landmark, a day at Epcot includes travelling the globe, venturing under the sea and soaring to outer space. Disney's Hollywood Studios is divided into themed areas inspired by imagined iterations of existing locations found in Hollywood and Los Angeles. Hollywood Boulevard serves as the park's main entrance with an exact replica of Grauman's (now TCL) Chinese Theatre at the far end. Pandora – The World of Avatar and Toy Story Land are located here. Fans of cinema, celebrity, Pixar or Hollywood in general will love a day here. Discover frosty fun at Disney’s Blizzard Beach, a one-time ski resort that has melted into a watery wonderland. Brave the slushy slopes or grab a lilo and head to the lazy river or soak up the sun on the white-sand beach. Disney's Typhoon Lagoon Water Park is a tidal wave of excitement. Think tropical paradise that’s been transformed by an epic storm. Chock full of rides, slides, and pools - including the longest ride in the history of Disney water parks – Miss Adventure Falls!